This young project between Matt Frazier and Dave Hill Jr., consults with one of Woodinville’s top winemakers, and their second vintage of Chardonnay backs up the buzz of their debut releases. The blend of fruit from warm Snipes Mountain in the Yakima Valley with the cooler Ancient Lakes of Columbia Valley result is a wine with aromatics of lemon zest, a hint of crab apple and minerality, followed by flavors of lemon, lime, bright acidity and a bit of apple peel bite in the finish. 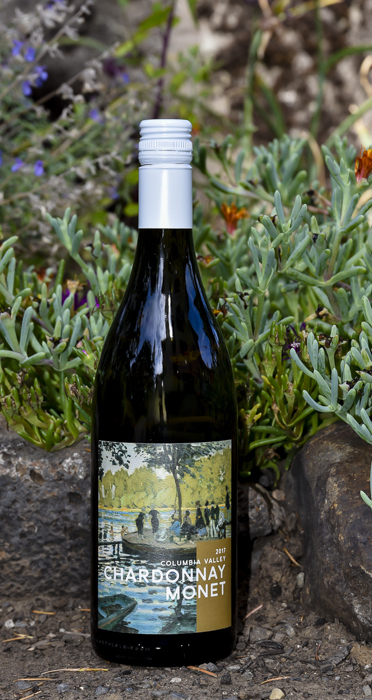 Wine lovers will fall for its tautness, art lovers for its Monet-inspired label. It earned a gold medal from a collection of some of the region’s top wine buyers who judge the sixth annual Great Northwest Invitational Wine Competition, and the Drum Roll Wine lineup is available at PCC Community Markets in the Puget Sound.